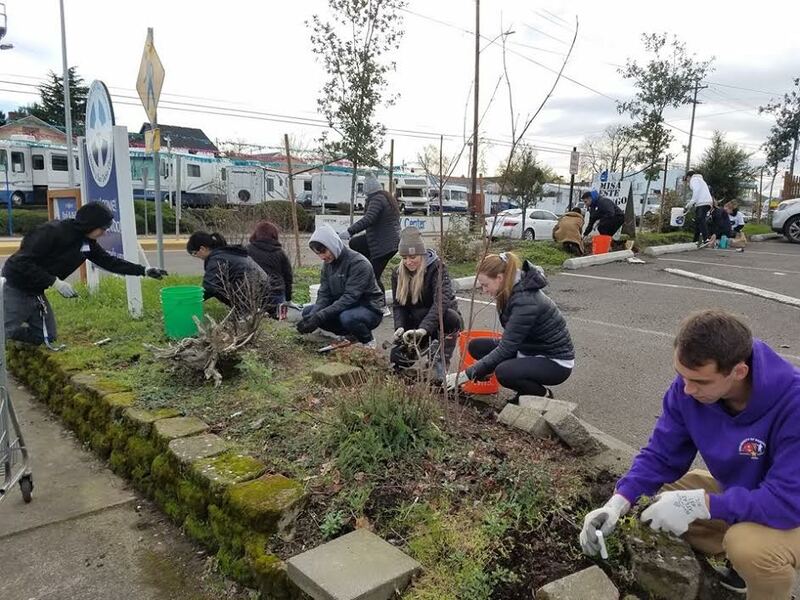 George Fox University (GFU) students and staff participated in the eighth annual Martin Luther King, Jr. Day of Service on Jan. 15. Contrary to GFU’s Serve Day during fall semester, this volunteer opportunity is optional yet it is just as meaningful. The Day of Service intends to have students working as a community for justice and the service of others to honor King’s legacy. This year, teams from GFU and five other colleges in the Portland area joined to serve at various community sites including a food pantry, food and clothing distribution site, local park, churches, and the sides of streets. The day is a chance for GFU students to gain an understanding on how to help others with fewer resources than themselves. Amidst the community service activities, people like Associate University Pastor Jamie Johnson found themselves relating with others through sharing stories of struggle, victory and perseverance, as well as life, faith, politics, studies, food, and laughter. “Good work being done in the name of MLK!” said Johnson, who worked at a church in southwest Portland with an organization called Depave.